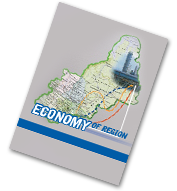 Recently, the balance of social, infrastructure, economic, technology and other factors is a core focus area in the regional economic development. Similar priorities appear in the planning and organization of economic activities in various productive sectors including natural resource management and subsoil management as a part of it. However, the diversity of approaches to understanding the term “balance” and its assessment does not allow to achieve a sufficiently high level of state strategic management. This study attempts to develop a consistent approach to the state regulation of natural resource management in order to balance economic activity when developing the natural-resource potential of a region. The results of the research are the following. Firstly, we have defined the concepts of “balanced natural resource management” and “balanced subsoil management”. Secondly, we have identified the key principles of balanced natural resource and subsoil management. And last, we have developed the guidelines for assessing a balance level of natural resource management (subsoil management) in a region. The proposed method is used for the estimation of a balance level of subsoil management in the Sverdlovsk region. We have concluded that subsoil management in the Sverdlovsk region meets conditions only to 52 %. The resource component is at the level of 63 %; the economic component — 50 %; the environmental component — 51 % and the social component — 44 %. This indicates an extremely unfavourable situation in the mining industry of Sverdlovsk region in terms of balance. We have undertook a rapid assessment of subsoil management in the Sverdlovsk region. The depth of the study is largely determined by the method used. The lack of statistical data for regions by economic activity became the research limitation. Further research can focus on other components of natural resource management, expanding factors’ list affecting subsoil management for assessing the balance level in the Sverdlovsk region and Ural Federal District with further mapping of the received results.